In this special anniversary year, marking a century since the end of the First World War, War Horse could not seem more poignant. It returns to Birmingham Hippodrome in the lead up to Armistice Day. Inspired by the popular novel by Michael Morpurgo, this acclaimed stage version by The National Theatre offers a refreshing, creative take on the story that is different from both the book and film. Fantastic theatrical tools are used to create the horse itself - Joey - and other animals, including a scene-stealing funny goose. While you may notice the puppeteers around them in the first few minutes, they soon become unnoticeable, blending into the background as the personalities of the animals and their traits take over to make them astonishingly lifelike. That's part of why this play has become so popular in its own right; seen by over seven million people in 11 countries, a record-breaking eight year run in the West End and over 25 major awards to its name, including the Tony Award for Best Play on Broadway. It's an apt time for War Horse to return to Birmingham as it's being performed at Birmingham Hippodrome until November 3, shortly before Remembrance Sunday. The play will then return to its original home at the National Theatre in London for November to mark the centenary of Armistice Day. The story focusses on the outbreak of World War One and the following years in wartime France, chartering the exploits of charismatic horse Joey, who is sold to the British Army's Cavalry, and his besotted teenage owner Albert, who makes it is his mission to track him down in the war-fields despite being too young to enlist. The opening is full of hope and sunshine as we see how the foal ends up entwined with Albert in the Devonshire countryside due to Albert's foolhardy father. Between the drama, there's a rural folk singer interlacing the scenes, who adds a beautifully lyrical yet melancholy feel to the proceedings. High above the stage is what seems to be a floating cloud where images are projected and it's not until midway through the play that you realise this is cleverly linked to a scrap of paper with a portrait of Joey. 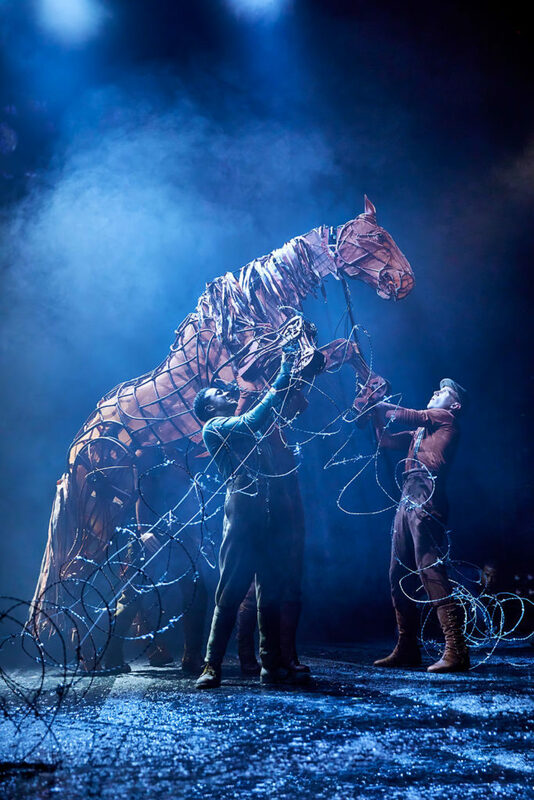 The inventiveness is key to this production, no more so than the life-sized horses by South Africa's Handspring Puppet Company, which even makes it seem as though the animals are breathing. Added to that is the stark, impactful imagery. When soldiers are gunned down across the fields in France, the red bloodstains across the 'cloud' screen gradually transform into poppies and leave a lump in the throat. That's just one of the hugely emotional moments in this often grim story, which takes the audience on both sides of the battlefield and isn't shy about portraying death and destitute conditions; but that is what packs a real punch to all ages. Playing Albert with playful zest and passion is the excellent Thomas Dennis, whose repertoire includes Christopher in The Curious Incident of the Dog in the Night-Time - another acclaimed award-winning play. 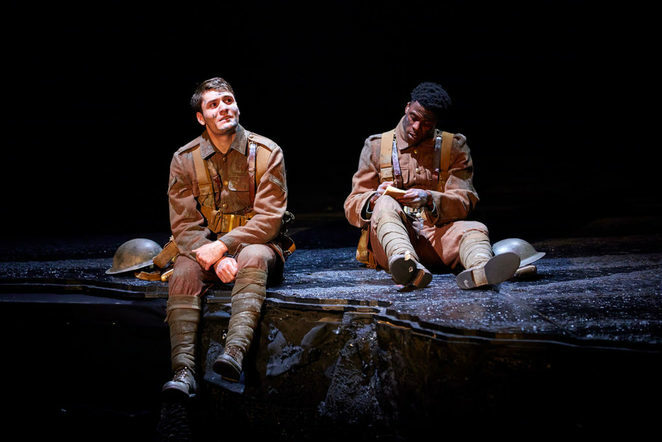 The whole cast is faultless and Toyin Omari-Kinch in particular gets a warm reception as soldier David Taylor, who has a strong comic Brummie accent. For those interested in the music, Bob Fox is the song man, who has developed his folk skills since the 1970's. This is an outstanding conversion from book to stage that adds a much more emotive dimension through its imagery and creativity. It makes you laugh, cry and everything in between. It was no wonder it received a standing ovation on opening night. Most of all, it makes you think hard about the humans and animals, on both sides, who suffered during the First World War; something important to remember as we approach the up-coming centenary event. 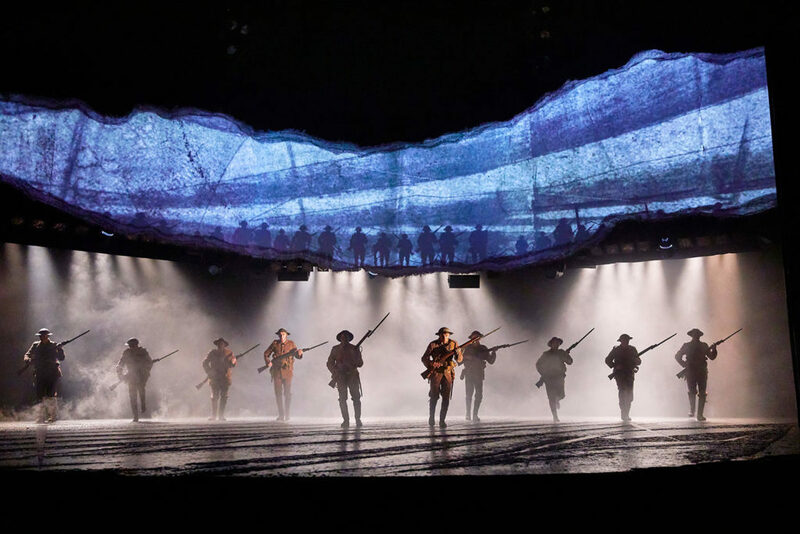 War Horse is a powerful, perfect production that everyone should see at least once in their lifetime. Don't miss out while it's in Birmingham. Connected to the show is a free one hour talk called The Hippodrome During WW1, which takes place at 12.30pm on Wednesday 31 October. Ivan Heard, one of the theatre's Hippodrome Heritage Volunteers, will be discussing the theatre's war effort during the War and taking a fascinating look into who was entertaining the Home Front and who was packing the theatre with protesting female Munitions Workers. To book free tickets to this event visit birminghamhippodrome.com or call Information and Sales on 0844 338 5000. 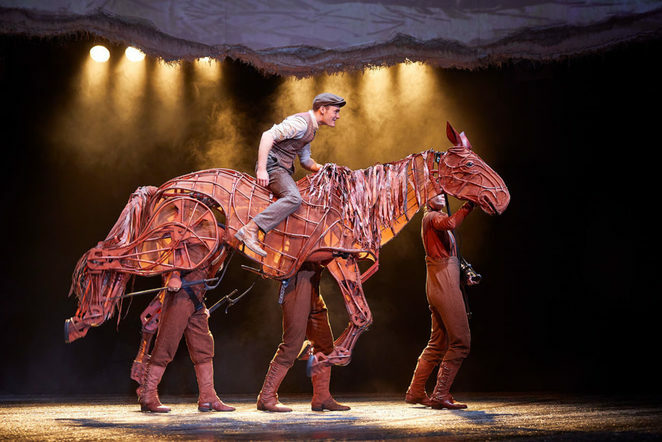 War Horse runs at Birmingham Hippodrome until Saturday 3 November with tickets from £29.50.